a problem on the east cost of Australia. poisonous to Horses, causing serious respiratory damage that can lead to death if unmanaged. 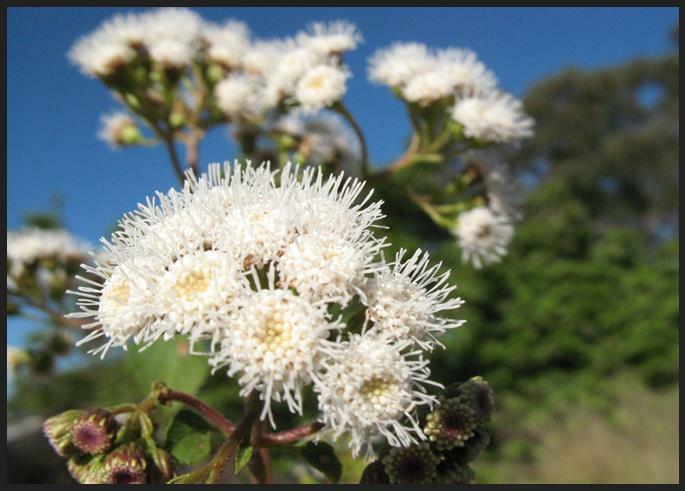 an aggressive invasive weed commonly found on roadsides, edges of our bushland and cleared or disturbed lands. How does it affect Horses? 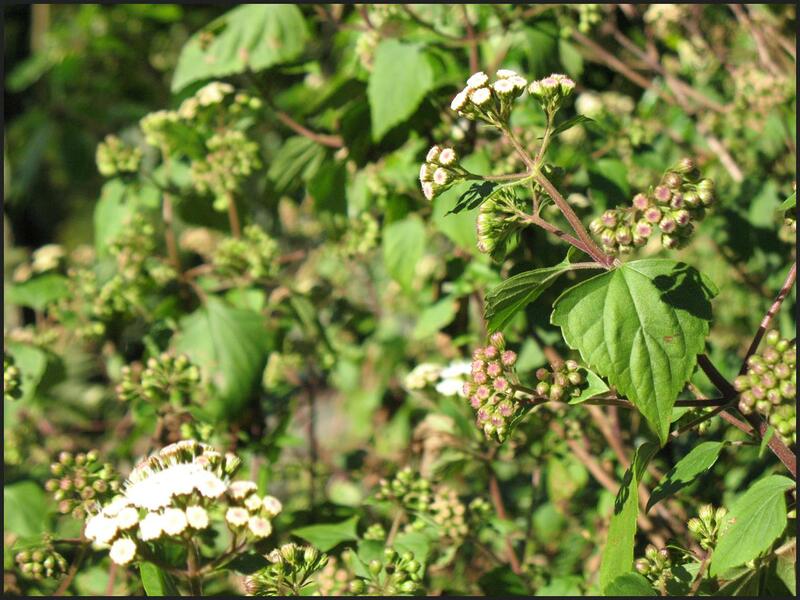 Crofton Weed is poisonous to horses. Horses may graze on Crofton Weed in preference to good feed and this grazing can make a horse sick in as little as 8 weeks. What are the Signs of Poisoning ? A Cough, that becomes worse through exercise. Shortness of Breath, and with prolonged exposure breathing difficulties even at rest. This along with a risk of heart damage. 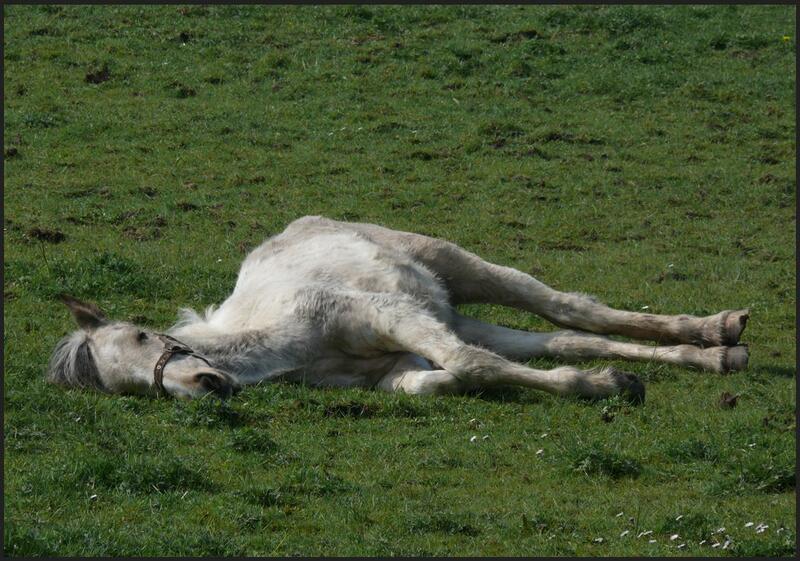 Death by respiratory failure is the eventual result of Crofton weed poisoning, with horses often collapsing at work. If you suspect poisoning, seek advice from your veterinarian. Treatment in not likely to reverse the damage a horse has suffered. Some horses affected by Crofton Weed poisoning may never work again. The best approach is preventative. Eradicate Crofton Weed wherever you find it. It has multiple stems, distinctive red/brown colouring and is easily snapped. It has a triangular Leaf that has a toothed edges. The flower head is made up of densely packed small white tubular blooms producing many wind-blown seeds. When flowering finishes, the plant above ground dies back and reshoots from its base. After germinating in Summer, a full size plant can develop in 12 weeks, ready to flower in spring. The best way is to control any infestation when it’s small. Crofton Weed should be removed whenever it is found. If you find that the plant has seed heads, cut them off and bag them to prevent further spread. Remove plant roots by hand or mattock. Crofton weed can managed with herbicide, however a follow up application is usually required after three months. Ensure all safety instructions are followed and please consider your neighbours and surrounds before applying any herbicides. How does Crofton weed spread? Crofton weed can produce between 10,000 and 100, 000 seeds a year. Seeds are light, taking 25,000 seeds to make a gram. The seed is spread by water and wind naturally but can also be spread in mud on boots or machinery as well as careless dumping. For germination the seed needs light, this makes cleared or disturbed areas a good target for a new infestation of Crofton Weed.